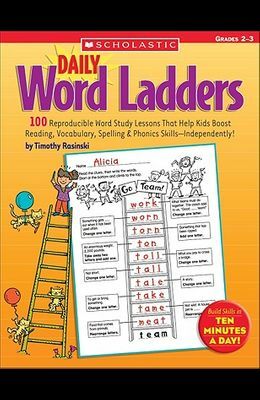 Kids climb to new heights in reading and writing with these engaging, reproducible word building games Kids read clues on each rung, then change and rearrange letters to create words until they reach the top. All the while, they're boosting decoding and spelling skills, broadening vocabulary, and becoming better, more fluent readers. For use with Grades 2-3.